Officials have filed a complaint against one Abhinav Shrivastava and others of Qarth Technologies Private Limited for allegedly leaking Aadhaar data. BENGALURU: In a case highlighting the security flaws in the Unique Identification Authority of India (UIDAI), officials have filed a complaint against one Abhinav Shrivastava and others of Qarth Technologies Private Limited for allegedly leaking Aadhaar data. According to the complaint by the Ashok Lenin, deputy director of UIDAI, Abhinav Shrivastava, the director of Qarth Technologies, had developed an app on Play store to provide e-KYC documents. The documents were allegedly provided by accessing the Aadhaar database without any permission from UIDAI or other authorities. Aadhar officials also suspected that the accused colluded with others to secure the database before leaking the information to Qarth Technologies. Pronab Mohanty, deputy director general, UIDAI, Bengaluru confirmed that a case has been filed in Bengaluru. "However, it does not pertain to the regional office, Bengaluru," he said. He also said that the complaint was not a case of malpractice, but that the fault stemmed from the flaws in National Informatics Centre. Accessing secure Aadhaar database and leaking information from the same is an offence under Aadhaar (Targeted Delivery of Financial and other Subsidies, Benefits and Services) Act 2016 and Information Technology Act, 2000. 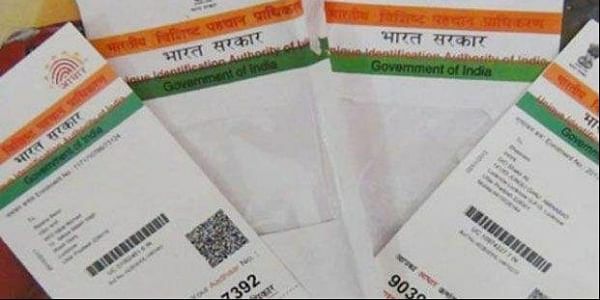 In the FIR registered, Section 37 (intentionally discloses, transmits, copies or otherwise disseminates any identity information collected in the course of enrollment or authentication ....), Section 38 (deals with intentionally accessing Central Identities Data Repository and downloading data) read with Section 29 (2) of Aadhaar Act has been evoked. Apart from it, section 65 (tampering with computer source documents) and section 66 (hacking a computer system) of IT Act, and sections of IPC has been filed against the accused. According to Zauba Corp, a data bank of various firms, Qarth Technologies was incorporated in October 2012 at Kolkata and was involved in data processing. Directors of the company were Abhinav Srivastava (accused in the case) and Prerit Srivastava. The company, as per Zauba Corp was based out of Science and Technology Entrepreneurs' Park, IIT Kharagpur, West Bengal.